Drake stood off to the side, a thermos in his hand, and a pastry of some sort in the other. When he saw me, he gave me a once over and a nod, then handed the food over. “What is it?” I asked, sniffing the food. We waited another minute for Keel to show up with his truck. Drake kicked at the ground in silence while I struggled to get down a few bites of the muffin. After each swallow, I chased down a gulp of hot coffee. By the time the muffin was gone, so was one quarter of the thermos, and my taste buds. “So, are you going to talk to me about yesterday at all?” I asked his back. He stiffened, then turned around to look at me. 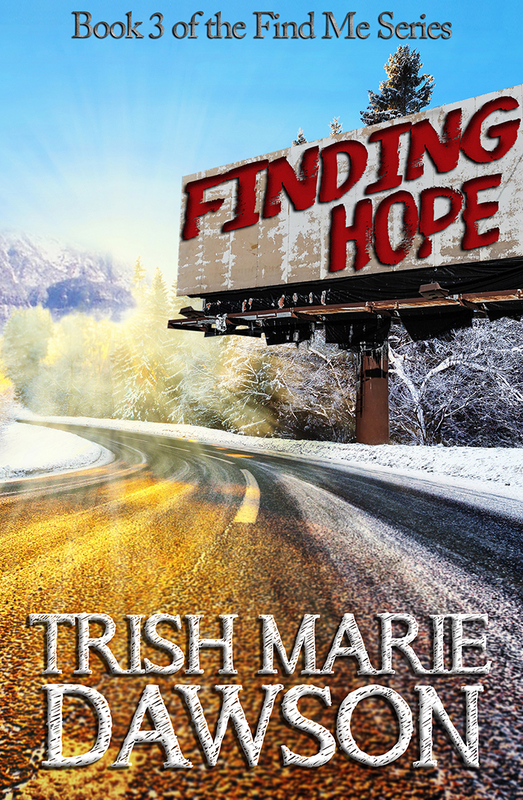 – Finding Hope, book 3 of the Find Me series.